If you want traffic to your site TODAY, this is the way to get it. Unfortunately, getting cost-effective traffic that results in quality leads through Adwords isn’t simple. When done properly, however, it’s the most consistent method of traffic delivery available in local markets. After all, only 20% of 2011 search results were locally focused. In the world of marketing, Google changed EVERYTHING. For the first time ever, we marketers aren’t just limited to demographics, psychographics, geographics, or even purchasing history and patterns. For the first time in marketing history we can actually read the minds of our prospects. Seriously, think about that one for a second. We know what our prospects are actually THINKING. How do we know this? Because they tell us, of course. They sit down at their computers and pull up Google and type in exactly what’s on their mind. And you have the ability to see that and respond with an ad. So the big question is, How are you (or your current ad agency or Google marketer) responding to that thought? In the old school world of not knowing what our customers were thinking we had to guess. We had to guess that they recognize the Culligan name and that it would pull some weight. We also had to guess at which offer they wanted to see and for which product. In other words, a lot of companies will generally market on Adwords like they’d market in a direct mail post card campaign. You KNOW their thoughts so why not use that to your advantage? You can test multiple ads with different headings and offers to find out what works and then transfer that back to your print advertising. 1. The first one is pretty straight-forward. If your Ad Agency doesn’t understand that concept and their best ads aren’t pulling at least a 1% Click-Thru-Rate, you’re literally throwing money away every month. As a point of comparison, our absolute best ads will pull over a 20% Click-Thru-Rate. 2. The second is again “obvious”, right? Let me give you an example. If you go to a search engine, type in “drinking water,” and an ad pops up talking about a water softener, how likely are you to click on it? Through various testing we’ve come up with over 26 “thought groups” for online marketing for a Culligan dealership and we’re always working on more. Overall we’ve tested over 6,000 Ads to figure out what works and what doesn’t. Guess what? The same ads don’t pull best in every market. Would you like to know which ads will work best for all of your print media in your market? 3. This is where the majority of people are really missing out. If your current marketer has never once told you which offer or Adwords tagline is pulling best for you to test in your local newspaper, it’s time to ask them to focus on the areas where they are experts, and then contact us to be your Adwords guru. When you work with my team, we’ll ask for your input from your print ads so we can test tag lines and offers to scientifically determine which will generate a better response for you BEFORE you print a single newspaper insert or post card. How much value does that add to all of your marketing? Let me give you a quick example of how you use online information and transfer it back to standard marketing mediums. Sure that’s probably because most people can’t spell analysis but more importantly, if people are thinking about a “water test”, is there any benefit in marketing a “water analysis”? Did your current Google Adwords marketer tell you that? This is just one example. We can give you dozens. You aren’t doing online marketing with Google in which case you should contact me immediately so we can chat. You are already working with an Ad Agency or Google Marketer. You are relying on LeapFrog who may or may not be here in the future… Refer to step #1 above. Find out who is maintaining your Adwords marketing. Get a report of performance (leave the definition of performance up to them). Find out how much you’re spending on average each month and how many clicks you’re getting for that money. If they get it, then you can feel good that you invested 15 minutes of your time to double-check. If they don’t “get it”, contact us to take over your Adwords management, and we’ll get you better results for up to 60% less than you’re currently spending. It’s that simple to drive down your cost per sale and improve your ROI. Online marketing presents us with a power that we’ve never seen before. If your Google Marketer doesn’t fully embrace that paradigm shift, then hopefully your competitors’ Google Marketer doesn’t either. Why are we making our knowledge so public? However this is just the tip of the iceberg. Google Adwords marketing and SEM in particular is one of the most powerful and yet complicated things to do correctly. If your online marketer isn’t doing any one of these things you can be assured they aren’t doing a LOT of other things behind the scenes. More importantly, by putting some of our knowledge in writing we’re hoping you’ll trust that we know what we’re doing… It’s easy to make claims over the phone or behind closed doors. It’s a bit harder when they’re in writing for the whole world to read. P.S. 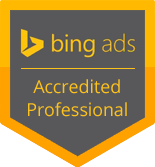 Still not convinced that we can out-perform your current marketer with Google Adwords? Put us to the test against your current marketer for 60 days. After 60 days, I promise you’ll have more actionable information and higher-quality traffic than your current marketer or we won’t charge you a fee for any of our work.